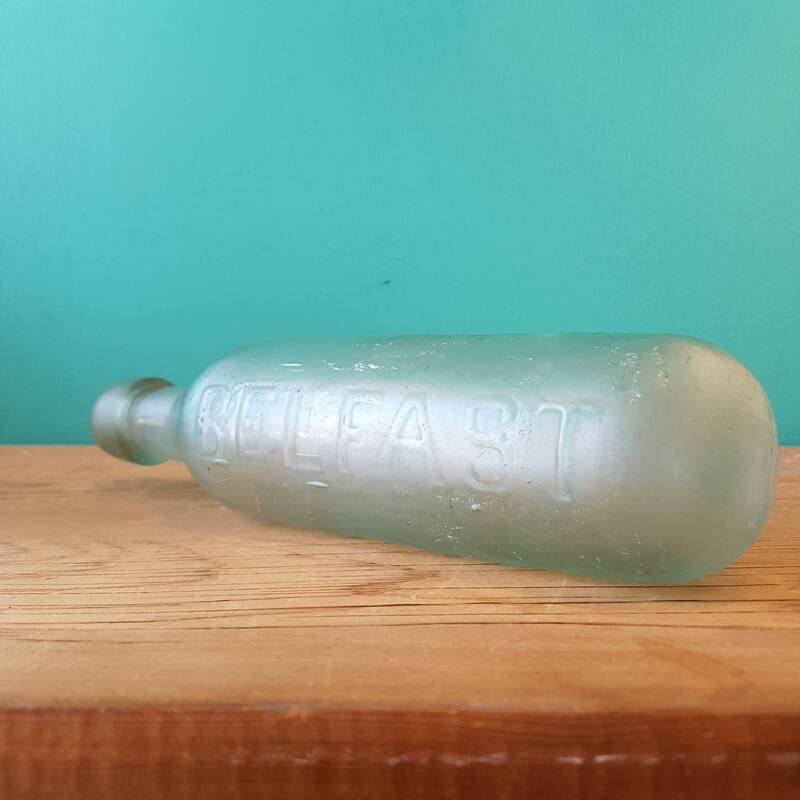 This antique ballast or torpedo bottle embossed Ross's on one side and Belfast on the other side. Crude with some tiny pings and one long bubble but no chips or cracks. 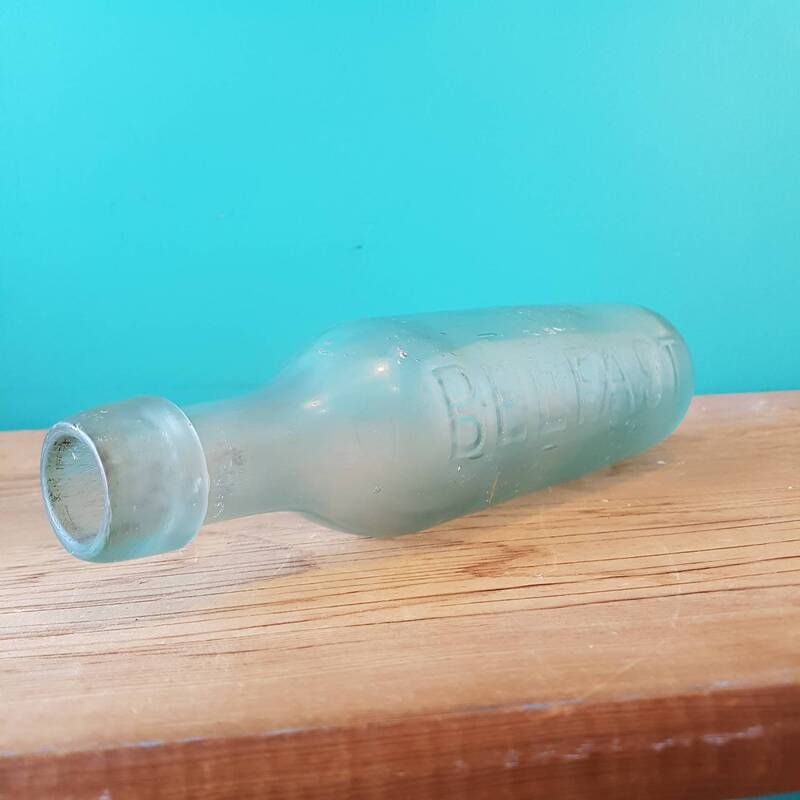 It has an unusual or non-typical mold-blown bottle form with a seam up both sides and applied lip. 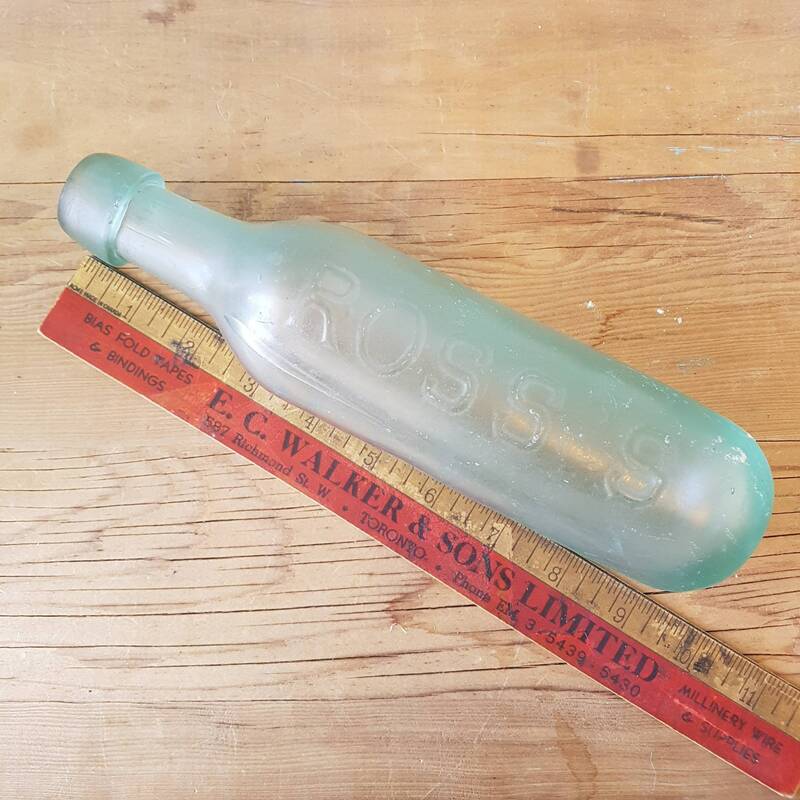 The round bottom is unmarked dating it to the late 19 th century. 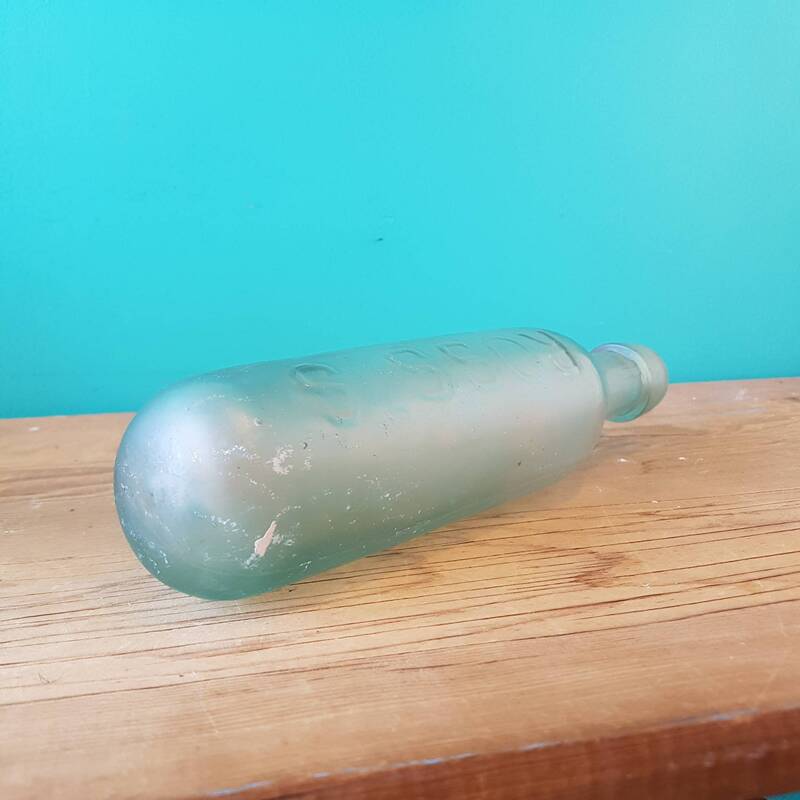 Bottle measures 9 Â½ inches long and has some mud staining. 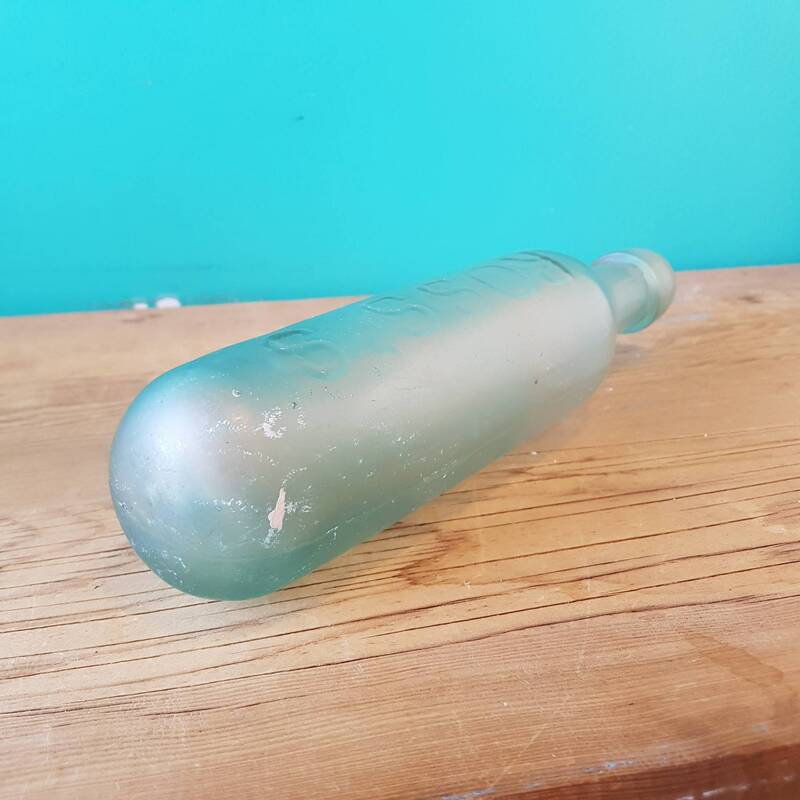 It has an applied finish lip that is a cross between a blob (large and one-part) and the oil style (flattened and tapered outside surface), applied ribbon lip for wiring the cork, was blown in a true two-piece mold, and exhibits no apparent mold air venting evidence. 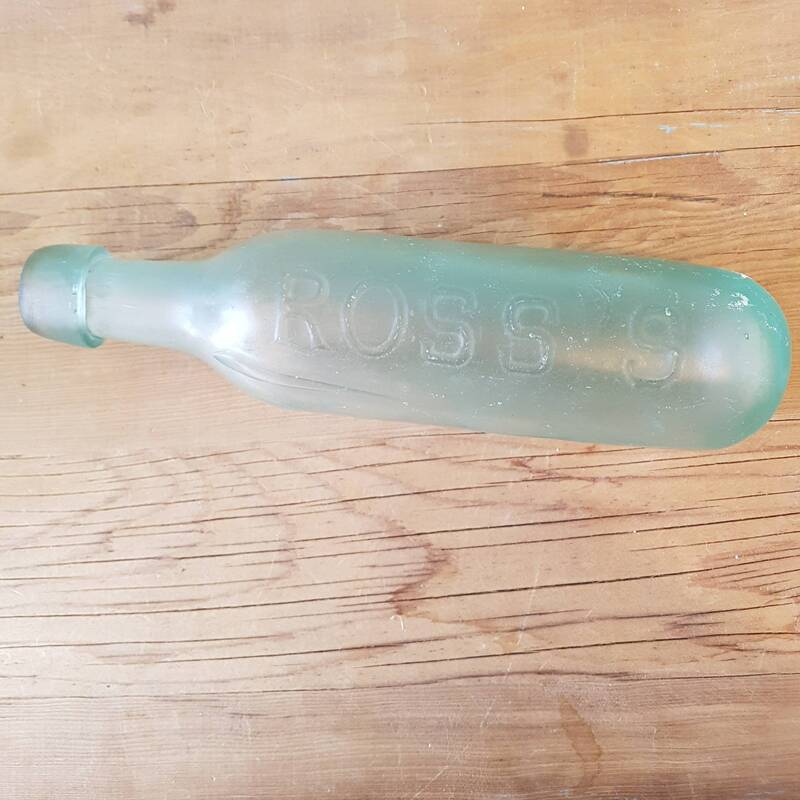 Rounded bases were designed to do the opposite of most flat bottle bases and ensured that the bottle was not left standing upright. 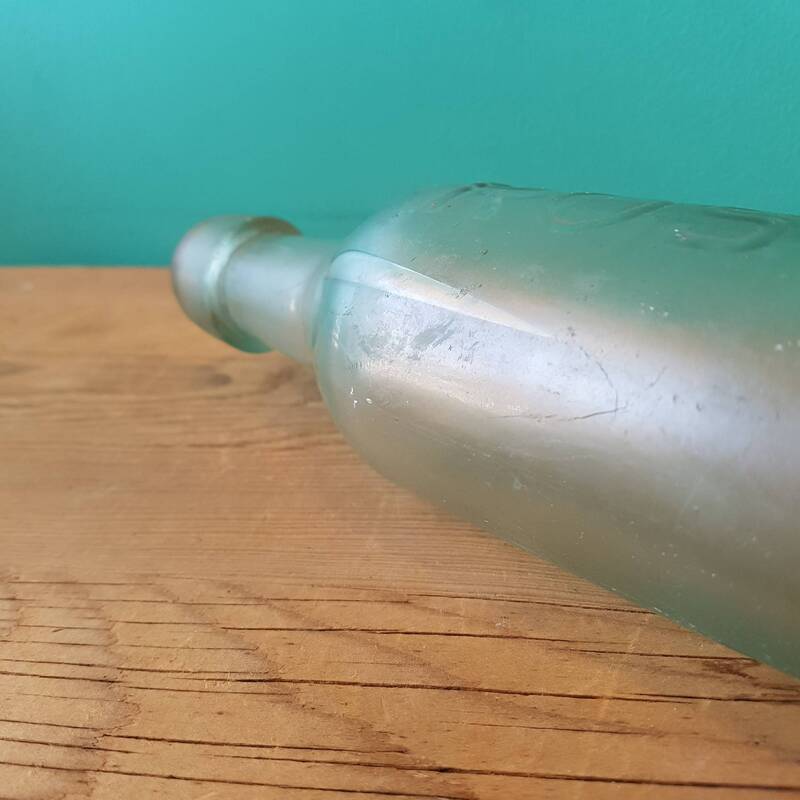 The rounded bottom was to ensure that the bottle was left on its side so that the wired down cork would not dry out and shrink allowing the contents to loose carbonation and/or evaporate as stated in Riley 1958. 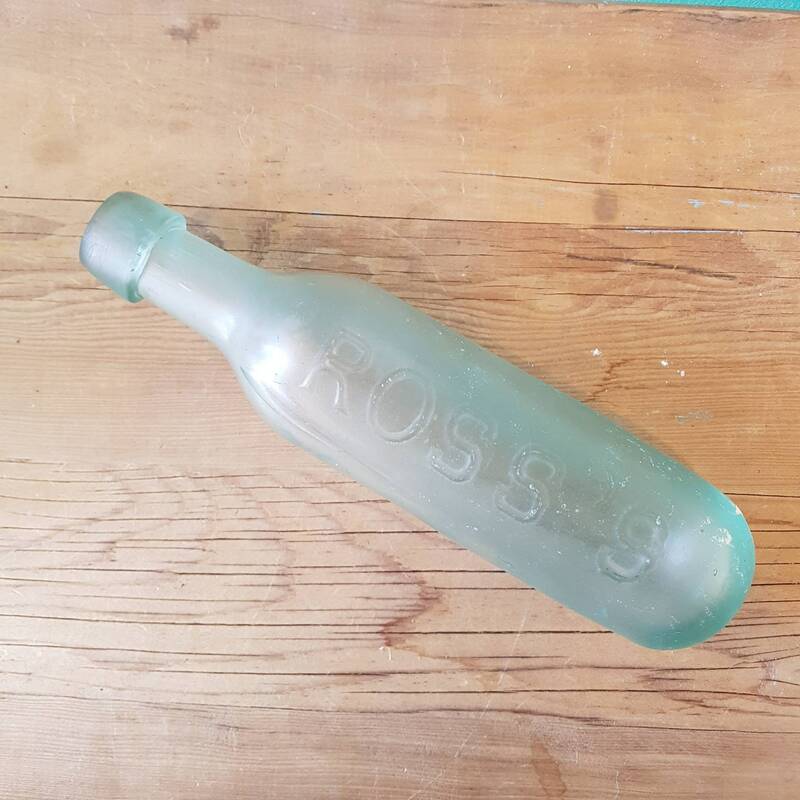 Rounded base bottle were made of thick heavy glass and used for carbonated soda, mineral water, and in particular, ginger ale as referenced in Munsey 1971.